CRM stands for Customer Relationship Management and, in short, refers to the way in which a company tracks and maintains relationships with customers and prospects. Social CRM, then, is specifically related to the company/customer relationship on any social media platform. It is seen by many as an evolution of traditional CRM methods. 81% of small and medium-sized businesses use social media, and there are 3.4 billion active social media users globally. If your business’ social media is not at the top of its game, then it’s high time you get on board to keep up with the competition. If you’re looking for more information on what basic CRM is, take a look at the Startups page: what is CRM? But if it’s Social CRM you’re specifically interested in, then read on for more information on social CRM processes, strategy and benefits. 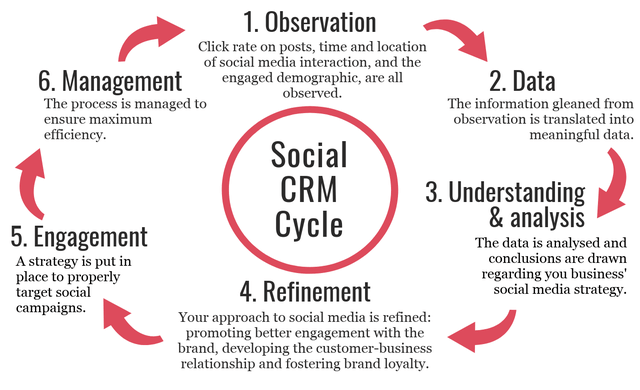 What is the social CRM process? What does social media CRM strategy mean? What are the benefits of Social CRM? Broadly speaking, Social CRM refers to the management of communication between businesses and customers/potential customers on social media platforms. It’s a strategy for customer engagement, retention and satisfaction. A social CRM system collects and collates information about your customers that relates to their social media habits, and their interaction with your brand’s social presence across a variety of platforms. This insight is then translated into meaningful data, which is displayed on a dashboard in an easily-digestible format – allowing you to analyse and refine your social media strategy. Social media CRM forms part of a two-way conversation between business and customer – a conversation that betters the buyer/seller relationship, and strengthens the bond between your clients and your business. Thanks to Social CRM and the insights gleaned from the data provided, you will be able to target and refine your social media strategy. Business success in the modern world frequently depends on having a strong and targeted social media presence. What you post, when, and where you post it has never mattered so much – especially to start-ups. The average person has 5.54 social media accounts, and the average daily time spent on these platforms is 116 minutes. The social media landscape is an open and busy marketplace, but the loudest voices aren’t necessarily the ones being heard; making a noticeable splash on social media requires strategy. However, this strategy has to be able to adapt to the ever-changing social sphere. Your business’ social media success will depend upon more than posting one good picture on Instagram – you have to nurture your social strategy, keeping it as refined and relevant as possible at all times. The above diagram only goes so far in explaining the process behind social CRM. To further elaborate, Social CRM works by collecting data about your customers, analysing that data, and formulating those results into a discernable pattern that informs future social strategies. Using the data collected and analysed by your Social CRM system, you can then streamline your social media strategy. You can bulk out your Facebook page to really hone in on those customers that regularly use Facebook to engage with your business. You can also look at why your other social media platforms aren’t performing at the same level, with a view to increasing engagement and visibility. The data derived from Social CRM means that each and every one of your posts can be properly targeted. An informed strategy of precision-posting will boost engagement, encourage sales, and create an all-round better customer experience. A social CRM system will also use data and analysis to automate posts, focussing on certain members of your target market, and essentially manage your online presence. It uses analysis to keep on doing the stuff that works, and to figure out why other stuff might not be working quite so well. Social CRM will measure the traffic and conversion rates of each of your pages. From this, you will be able to calculate the value of each page, so you can properly streamline your social media approach and tailor your input for maximum impact. Social CRM measures the user’s engagement with your business’ social media. You can then figure out what to post, and when to post it, in order to reach the highest percentage of your target market. This is an important one. Every time your brand receives a mention on social media, a social CRM system will pick up on it and alert you to the post. For better or for worse, this allows you to keep on top of what customers are saying about your business, so you can address any issues and respond positively to any praise. For example, people often take to Twitter if they have a strong opinion about customer service, or the quality of a product. As a small business owner, this kind of feedback will be vitally important: you’ll want to take any compliments in your stride, and nip any issues in the bud.. 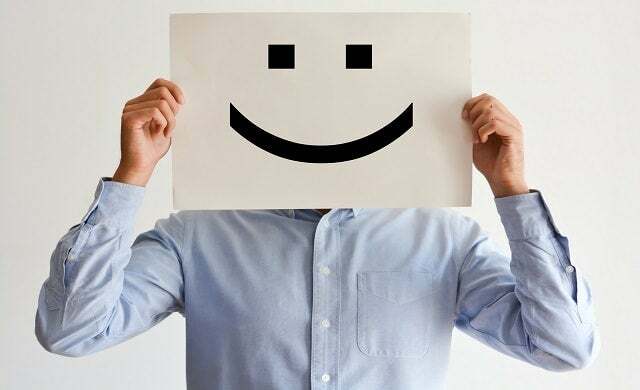 Indeed, you’ll want to know about the positive feedback just as much as the negative – not only to boost business morale, but once you know what works, you can then continue to do it. Social CRM has a much wider scope than traditional CRM methods. 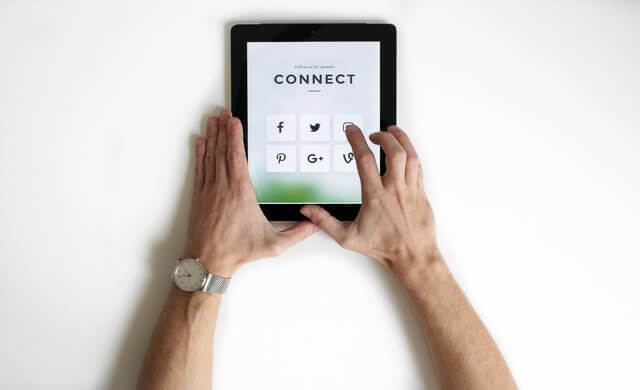 Since the social media landscape is so vast and varied, the potential reach and audience of any one social campaign that your business runs will immediately have a much greater potential outreach than, say, an email campaign. This is because Social CRM factors in not just your current customers, but your prospective customers too. 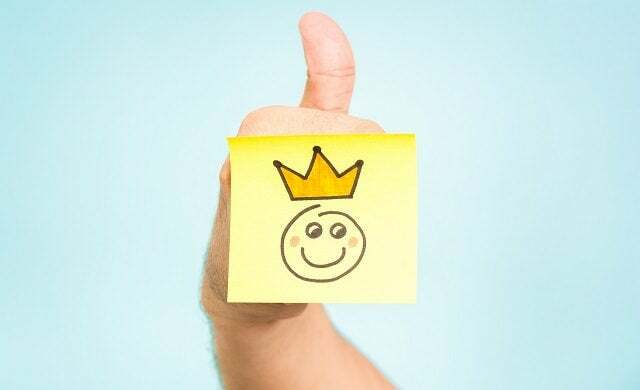 Social CRM also takes a customer-centric approach that builds campaigns around what the customer wants, and what they’re most likely to respond to. This gives the customer/potential customer a sense of autonomy. Allowing your customers to be an active agent in your marketing helps to build trust, and to create a sense of loyalty to the brand. The fact that social media platforms are customer driven means that in understanding your customer’s social media habits, you will also understand how to better tailor your service to your target market. Instead of guesswork or trial and error, Social CRM provides details on the specifics that can underpin your marketing strategy. Also, social media is a personable platform, and an easy way to engage customers with the intricacies of your business. A social CRM system will help you to encourage loyalty to your brand by properly streamlining and targeting your social media strategy. Social CRM comes in a variety of forms. Some CRM systems come with a full-fat set of features and inbuilt social functions. 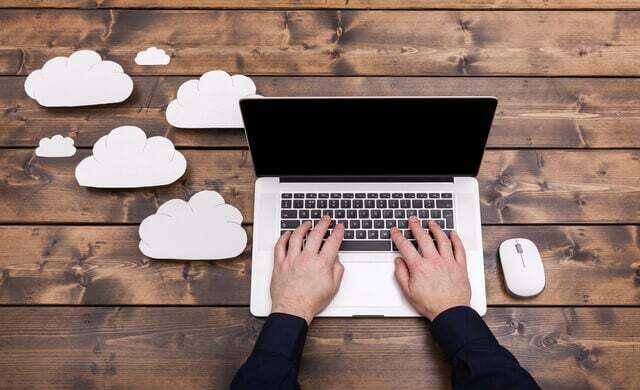 Alternatively, you can select a social media management system – such as Sprout Social or Hootsuite – to integrate with your existing CRM system. Take a look at our page on social media management for more information on the best social media management tools. If you’re still hungry for some background information, be sure to read the Startups.co.uk section dedicated to CRM. Social CRM is a culmination of social media management tools and traditional customer relationship management methods. Using CRM alongside well-targeted, well-managed social media campaigns will streamline any marketing strategy, boosting your business’ presence. This can lead to increased brand visibility, familiarity, and ultimately, profitability. Social CRM unites brand with customer, creating a closer business-consumer bond. Finely-tuned and well-aimed marketing can be strategised when social media management is effectively combined with a robust CRM system. By popping to the top of the page, you can fill out our online form and find the perfect CRM for your business today. 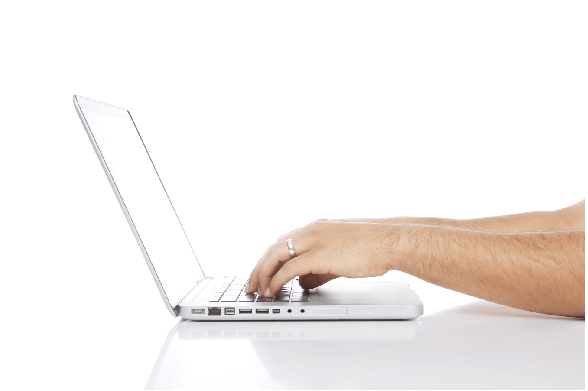 It’s free, quick and simple: you provide the answers, and we’ll provide the quotes. Or, take a look at our page on top CRM companies to arm yourself with all the information you’ll need about CRM, and its wealth of business benefits.